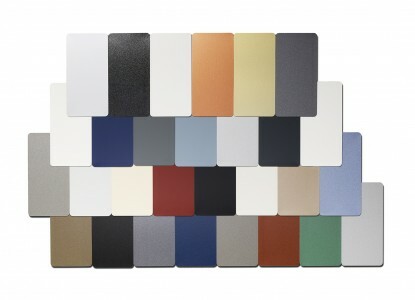 Tata Steel have launched the next generation of Colorcoat Prisma® prefinished steel, now with 3 layers as standard. Utilising cutting-edge clear coat technology Colorcoat Prisma® offers greatly enhanced aesthetics with superior colour and gloss retention. The new product delivers superior UV and corrosion protection to the highest European standards, and is now available with an extended Confidex® Guarantee of up to 40 years. Colorcoat Prisma® is available across the majority of Euroclad roof and wall profiles offering an aesthetic, high quality and complete building envelope solution. 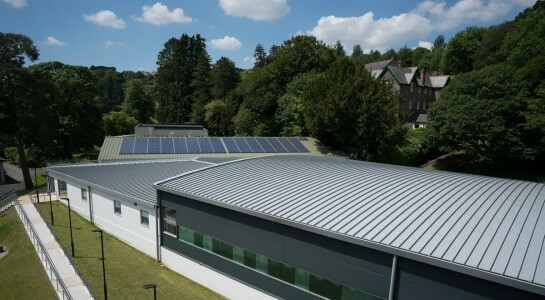 After a year of hard work building a new focused Environmental Management System to suit the ISO14001:2015 standard, Euroclad Architectural and Booth Muirie manufacturing have both been given a positive recommendation to gain accreditation, meaning that the entire operations at Euroclad’s Cardiff headquarters will soon be accredited to the latest version of the ISO14001 standard. Claims of conformity to ISO14001:2015 are not acceptable unless all its requirements are incorporated into an organization’s environmental management system and fulfilled without exclusion. This makes it a significant achievement, with only a handful of manufacturing companies having achieved this standard. Euroclad has been producing high quality flashings on short lead times since 1982. Our internal flat sheet capability allows the production of flashings up to 3.658m long and our service is also hard to match, with the potential for 24hour turnaround of orders, depending on delivery address. We are committed to innovation to improve product choice and service. This commitment has seen the development of Raintite membrane-lined and insulated gutters, Elite flashings, Shingle cladding tiles and most recently the availability of flashings made from XL Forte and Spectrum coated steels. This all means greater choice for your flashings, with the same high level of service and short lead times.